"To Walk the Red Road is to look for beauty in all things." great grandson of Mathias and Eliza Splitlog. He was one-half Seneca-Cayuga. with the Rev. Joe Wentzel and Rev. John Gable officiating. Interment was in the Ethel Reece Cemetery, Barnsdall. the son of Sam and Ju1ie Nuckolls. 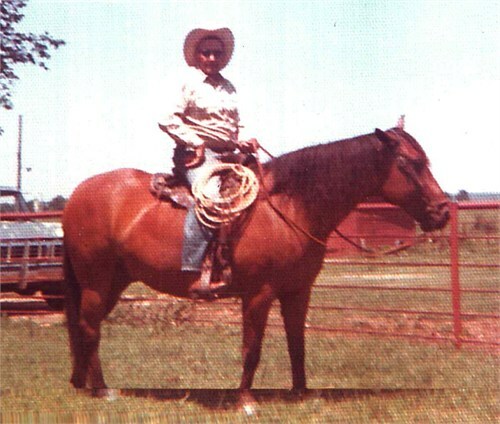 He was a long-time resident of Osage County, having worked at Chapman-Barnard Ranch for 36 years. He served as Horsebreaker in the 699th Quartermaster Remount Troup in China, Burma and India. While on the Chapman Barnard Ranch, he lived at headquarters, on Sand Creek and at Backland. until he became ill and was confined to his home. He was a member of the Foraker United Methodist Church and American Legion Post 198 in Pawhuska. one nephew; three nieces, ten step-grandchildren; four step-great-grandchildren and a host of friends. One brother, Jasper Nuckolls, Lawton, preceded him in death September 9, 1985. Barnsdall, Osage County, OK was born in 1889, her father, George, was 38 and her mother, Maggie, was 33. She had four brothers and three sisters. She died as a child on March 17, 1900.